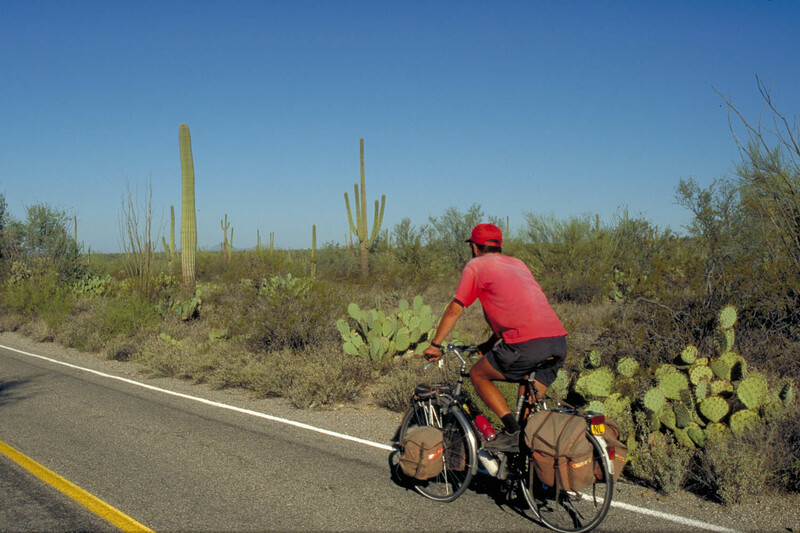 In october and november 1994 we cycled in Arizona. We planned to cycle in India but an outburst of plague upsetted our plans. Only days before departing we were advised not to visit India. And so we suddenly ended up in this southern part op the US. In four weeks we camped in unexpected early snow and cycled along all kinds of cacti.